Nature workers will be all a flutter for the next few weeks as they wait anxiously to see if the North East’s latest wildlife reintroduction is a success. The critical stage has been reached in a three-year project to save a butterfly which is on the verge of extinction in County Durham. 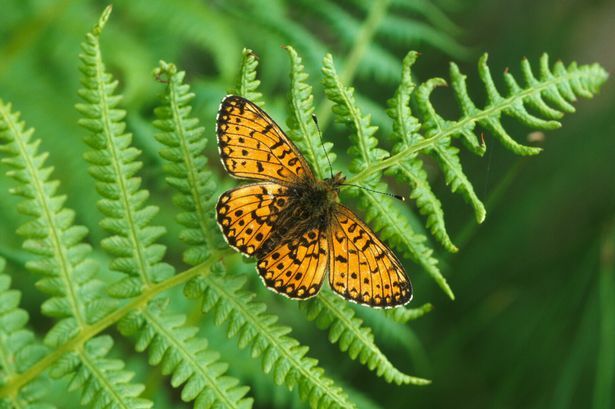 Durham Wildlife Trust has been breeding the small pearl-bordered fritillary butterfly at its Low Barns nature reserve at Witton-le-Wear. The species has declined in the county by 93% since the mid-19th Century. 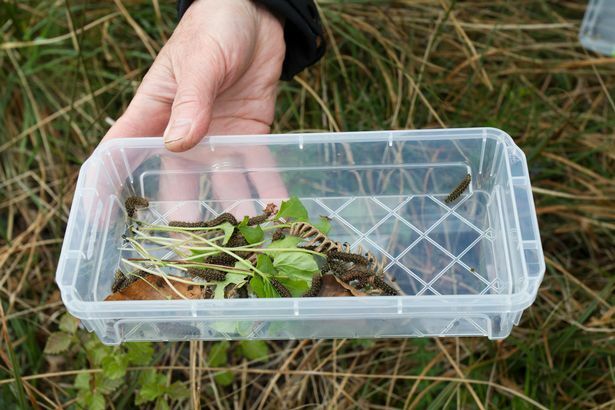 Now 124 caterpillars from the captive breeding programme have been released along the corridor of the River Browney, which feeds into the Wear. Backed by funding from the SITA Trust, the area has been planted with 6,000 marsh violets and dog’s tooth violets - the food plants for the caterpillars - and nectar species for the butterflies such as ragged robin, bugle and devils-bit-scabious. Now the project team and volunteers must wait for a month to see if the caterpillars make it through the pupa stage and emerge as butterflies. The project is part of the trust’s wider Heart of Durham venture which, in partnership with Northumbrian Water, aims to restore and create areas of habitat to benefit wildlife. “It is all very weather dependant and we will be like expectant mothers and fathers,” said Heart of Durham officer Anne Porter. The release is on a different scale to that of the reintroduction of red kites in the Derwent Valley in Gateshead, or the planned recolonisation of Kielder in Northumberland with water voles. The project has involved importing 3,000 marsh violet plugs from Kew Gardens in London, with volunteers growing plants on. The original butterfly breeding stock came from Yorkshire, where the species is established. The eggs have been hatched in special cages and the caterpillars have been fed on potted marsh violets. Volunteers have used feathers to gently brush caterpillars from the plants on to a spoon to prepare them for release. A final batch of 46 will be set free soon. If the release is a success there are another five sites which have been planted and could be colonised. Anne said: “In a project that has spanned three years, there have been disasters as well as high spots. “The first year was quite literally a complete wash out. The very wet and cold summer of 2012 meant that few of the caterpillars survived. “Luckily the winter just gone was mild and at the beginning of April the first signs of nibbled leaves were detected. The Heart of Durham programme was a winner in last year’s Durham County Council environment awards. As well as the butterfly project, Heart of Durham has worked to establish the true population levels of adders in the county. This is important as adders sites are often lost through lack of knowledge. In conjunction with Sunderland University, research is taking place into the DNA profiles of shed adder skins to build up a picture of the genetic diversity of the snakes .